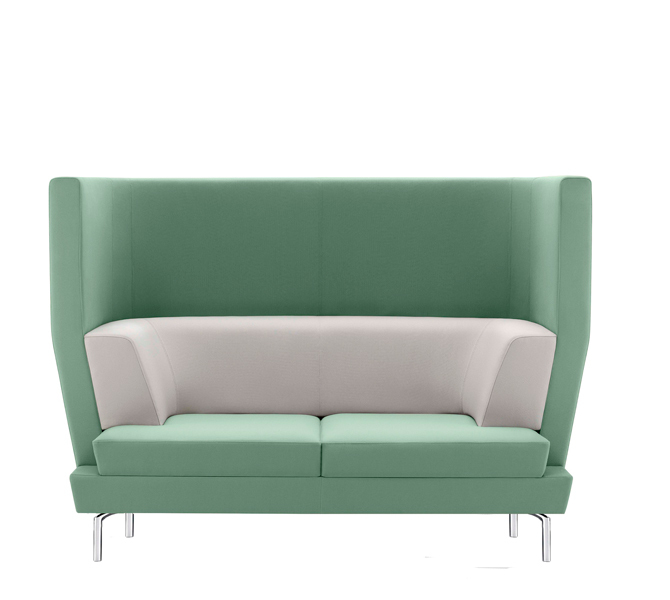 Entente by Boss Design effectively breaks up large, open plan office spaces with exceptional seating and technology combined into one striking piece. 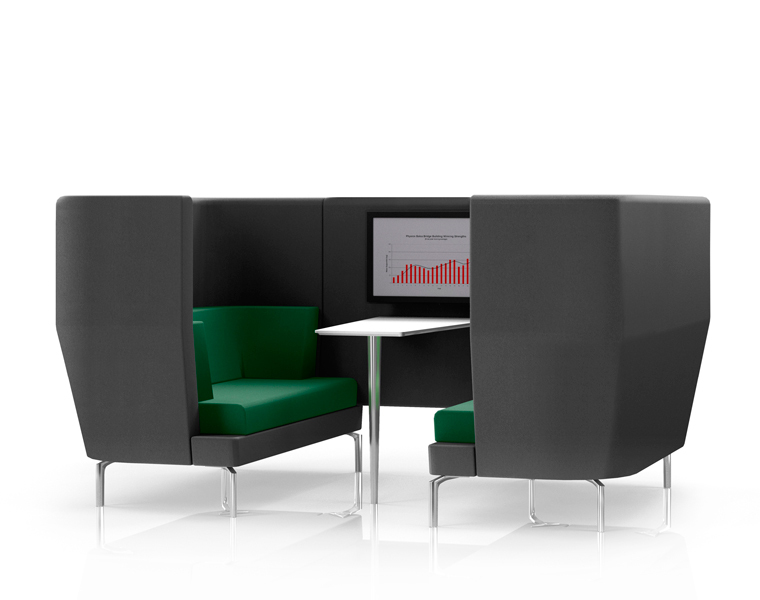 The popularity of informal meeting areas that offer comfort and functionality in the office environment was the inspiration behind Entente, which looks aesthetically perfect in a wide variety of corporate communal spaces. 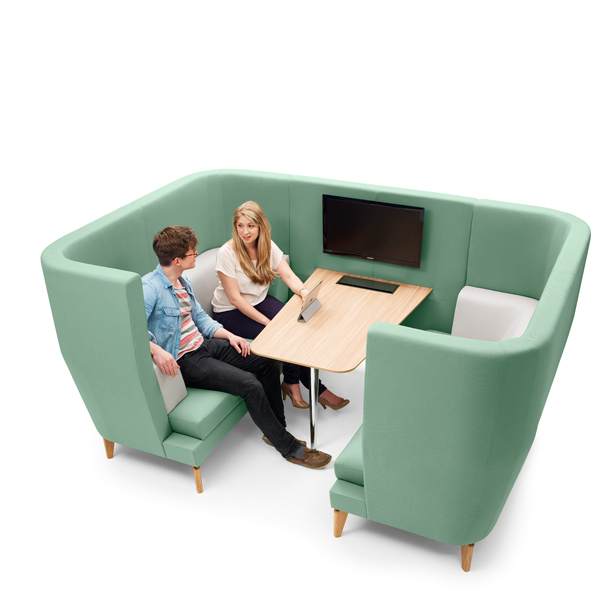 Entente comes with two facing high-back booth seats with a high-back connecting wall and an oak laminate finish table along one side. 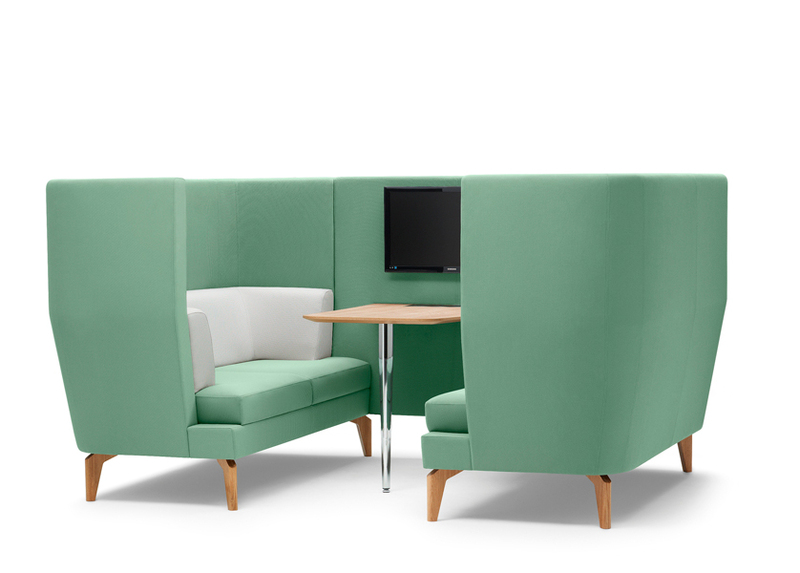 One wall is left open to create an inclusive meeting space that users can drop into, whilst simultaneously offering privacy and comfort to those sitting inside Entente. Entente’s timber stuff-over frame means excellent ergonomics for the user and ensures this piece epitomises the high quality and craftsmanship characteristic of Lyndon Design. Entente can be specified in an extensive range of materials such as fabric or leather, and comes with the choice of either oak or metallic curved legs. 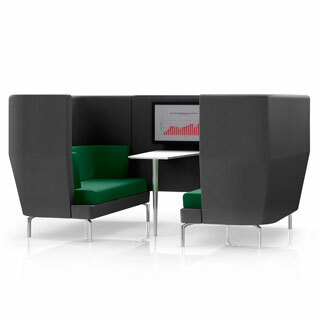 A power and data unit is also available, priced separately, which includes power sockets and USB ports as well as the functionality to attach an LED screen for the ultimate meeting space usability.